This is one of the strangest agates I've ever seen, and it is surrealistically beautiful. The white circle on the left is a true eye and there is another on the back of the perfect exterior. This is the first true eye agate I've seen from Patagonia. 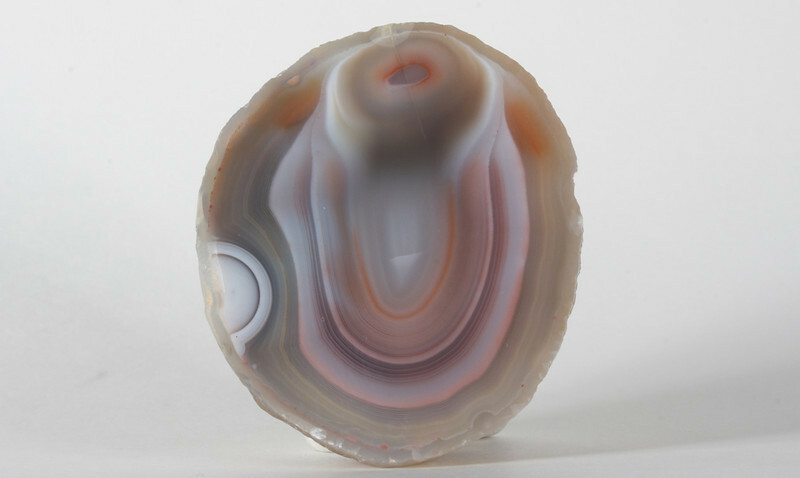 There is a faint line from a healed fracture that ran down (and perhaps explains) the form at the top that seems to protrude above the surface of the agate into three dimensions.